Raise the federal minimum wage to $8.55 this year and increase it over the next five years until it reaches $15 an hour in 2024. After 2024, adjust the minimum wage each year to keep pace with growth in the typical worker’s wages. Phase out the outdated subminimum wage for tipped workers, which has been frozen at a meager $2.13 since 1991. 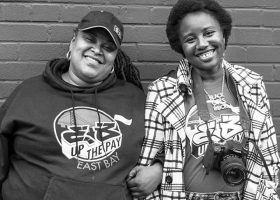 Since the Fight for $15 was launched by striking fast-food workers in 2012, five states and many other cities and localities have approved raising their minimum wages to $15 an hour. Additional states—including Washington, Oregon, Colorado, Arizona, and Maine—have approved minimum wages ranging from $12 to $14.75 an hour. Gradually raising the federal minimum wage to $15 by 2024 would lift pay for nearly 40 million workers—more than 26 percent of the U.S. workforce. 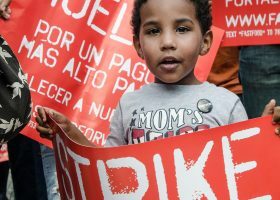 Affected workers who work year round would receive a raise on the order of $3,000 a year—enough to make a tremendous difference in the life of a preschool teacher, bank teller, or fast-food worker who today struggles to get by on around $20,000 a year. A $15 minimum wage would begin to reverse decades of growing pay inequality between the lowest-paid workers and the middle class. For example, failure to adequately increase the minimum wage accounts for 48 percent of the increase in inequality between women at the middle and bottom of the wage distribution since 1979. A $15 minimum wage by 2024 would generate $144 billion in higher wages for workers and would also benefit their communities. Because lower-paid workers spend much of their extra earnings, this injection of wages will help stimulate the economy and spur greater business activity and job growth. 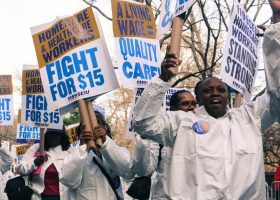 Read the full NELP-EPI fact sheet on the Raise The Wage Act of 2019: Why America Needs a $15 Minimum Wage. Read the full EPI report on the Raise The Wage Act of 2019: Raising the Minimum Wage to $15 by 2024 Would Lift Wages for 41 Million American Workers. 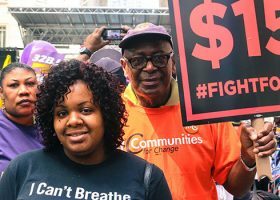 As the Fight for $15 continues to grow from coast to coast, Congress is joining in the call for stronger action to raise wages. 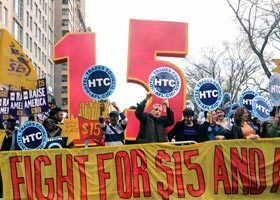 Led by Senators Patty Murray and Bernie Sanders in the Senate, and Representatives Bobby C. Scott, Mark Pocan, and Stephanie Murphy in the House, congressional leaders are introducing the Raise the Wage Act of 2019. 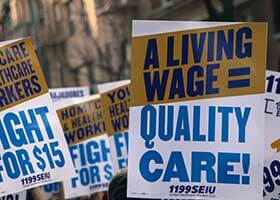 It calls for raising the federal minimum wage to $15 an hour by 2024. Equally significant, it also calls for gradually eliminating the outdated and unfair subminimum wage for tipped workers. This fact sheet provides background on this long overdue reform, which would help combat poverty wages and pay inequality for this struggling, majority female workforce.